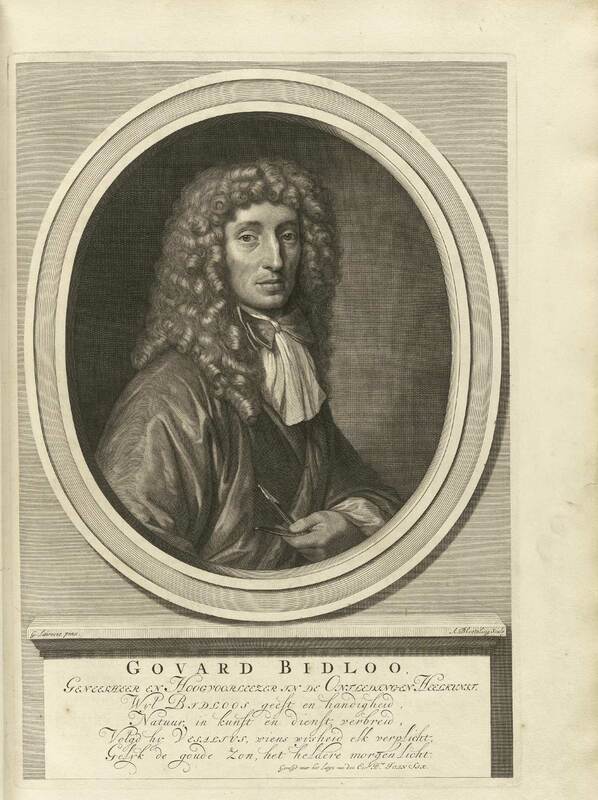 This copperplate engraving of Govard Bidloo was created by a well established portrait engraver, Abraham Blooteling, after a drawing created by the artist Gerard de Lairesse. It is signed by the artist and engraver in the bottom left and right corners of the portrait. Bidloo is displayed in formal dress, equipped with a curled wig and two knives, facing the viewer in a three quarter turn. Govard Bidloo. Ontleding des Meschelyken Lichaams. Amsterdam, for the widow of Joannes van Someren, the heirs of Joannes van Dyk, Henry boom and widow of Theodore Boom, 1690. 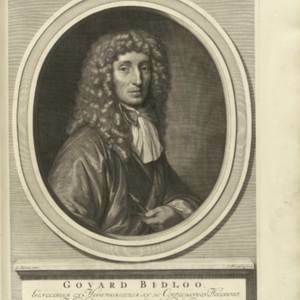 Gerard de Lairesse (artist), Abraham Blooteling (engraver), “Portrait of Govard Bidloo,” U of G Omeka, accessed April 22, 2019, https://digex.lib.uoguelph.ca/items/show/2753.